We have a wide selection of properties and price ranges to enable you to live like a local and explore the fascinating area of Tuscany. Check the distances between locations in Italy by using this map. Zoom in, see satellite images, and get directions between cities, towns and regions - click here. Choices in accommodation in Tuscany are numerous and varied. It is advisable to discuss your holiday requirements so that we can save you time and point you in the right direction. For more information on bookings, please contact Lyn Aitken using this form, or for general enquiries, please call or email. Lucca is a medieval walled city 1 hour west of Florence - properties are in the Lucca countryside surrounding the city, as well as apartments within the Lucca city walls. Day trips to Pisa, Viareggio, the Cinque Terre, Florence, San Gimignano and Siena are possible via various transport methods..
Chianti region to the south of Florence - an interesting selection of properties near Impruneta, Greve in Chianti and San Gimignano. All properties are in close proximity to historic centres such as Lucca, Florence, Siena, San Gimignano, Volterra, Arezzo and Montepulciano. Montepulciano - historic hilltop town in the southern end of Tuscany. 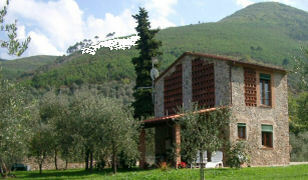 Accessible to the major tourist sites of Tuscany and close to Umbria. Siena/Montalcino - Close to the beautiful city of Siena and the historic hill top town of Montalcino, this is a wonderful central location for touring the picturesque Tuscan countryside. Montaione - a small town in the heart of Tuscany. The surrounding countryside is typical Tuscany with rolling hills, olive groves and vineyards. San Gimignano - World famous for its historic towers and is centrally located to visit the towns of Florence, Siena, Volterra and the beautiful region of Chianti.